It’s common for people with drug abuse problems to also have mental disorders. The connection between these two issues is strong. After recognizing the presence of mental illness and substance abuse, people need psychotherapy to recover. Without treatment, these problems feed off each other. When doctors detect that patients have both mental illnesses and drug abuse problems, they give a dual diagnosis. The close relationship between co-occurring disorders such as addiction and mental illness relates to their similar nature. They each have unique symptoms, but these symptoms affect how people think, feel and act. Mental illnesses and drug abuse also interact. When people don’t address mental disorders, their drug abuse issues usually get worse. When they don’t get treatment for drug abuse, their mental illnesses typically get worse. Although mental health and drug problems interact, one doesn’t directly cause the other. People with mental disorders such as anxiety and depression often use drugs to self-medicate. Drug abuse, however, usually worsens mental illness symptoms and can trigger new ones. On the other hand, drug abuse increases the risk for mental illness. Mental problems are the result of complex genetic, environment and/or trauma factors. Abusing drugs could put people over the edge if they’re already at risk for developing a mental disorder. Researchers continue to study co-occurring disorders. However, here are a couple more facts that people can keep in mind. Chronic drug abuse as an adolescent can lead to the development of mental disorders as an adult. The reason is that drugs hinder mental and social development. Anxiety and depression may arise as a result. Some drugs may lead to mental disorders after years of heavy abuse. Ecstasy, for example, changes the chemicals in the brain responsible for mood and other behaviors. These changes may cause anxiety or depression over time. Sometimes it’s tough and time-consuming to separate symptoms and narrow down the specific disorders present. Denial is a common issue that complicates the process. It’s usually hard for people to admit that they depend on drugs or that they have mental problems. Some people feel ashamed or afraid that others perceive them as weak. On the contrary, admitting that they need help is brave. Learning about the signs and symptoms is the first step toward recognizing a co-occurring disorder. The most common mental illnesses that occur with drug abuse are anxiety, depression and bipolar disorder. Each of these, including drug abuse, has unique indicators. Anxiety may cause muscle tension and headaches, excessive worry, trouble focusing and insomnia. It may also cause restlessness, agitation, increased heart rate and shortness of breath. Depression can cause changes in appetite, sleep patterns, and weight. Many people also lose interest in daily tasks, feel helpless or hopeless, and have trouble focusing. Other common signs include anger, reckless behavior, and decreased energy. Bipolar disorder may cause rage and make people impulsive. Some people experience euphoria, agitation, impaired judgment and increased energy. Other signs include racing thoughts and speech, unreal beliefs and a state of abnormal activity. Drug abuse has various signs and symptoms depending on the drugs that people use. However, there are signs that they generally exhibit. Many of the signs of mental illness are also signs of drug or alcohol abuse and addiction. One sign is behavior changes such as taking more risks and doing things out of the ordinary. They also become distant from family and friends and feel like they need drugs to survive. Although psychotherapy is the focus of dual diagnosis treatment, the best plans also include detox. Integrated, extensive treatments address mental disorders and drug abuse at the same time. In fact, successful recovery depends on the dual treatment. Since everyone faces different combinations of mental and drug problems, each treatment plan is different. However, many people find it helpful to get some sort of idea of what to expect in treatment. Treatment centers have well-trained staff members who help people with co-occurring disorders. They focus on stabilizing patients throughout detox. This process allows the body to naturally remove drug toxins. Detox often causes discomfort and painful symptoms because the body still goes through withdrawal. The staff members provide relief and monitor patients to avoid complications. In general, inpatient detox programs are the most effective. They provide drug-free, trigger-free environments that allow patients to focus on recovery. Most patients stay in detox for an average of seven days. However, the length of treatment could be shorter or longer. 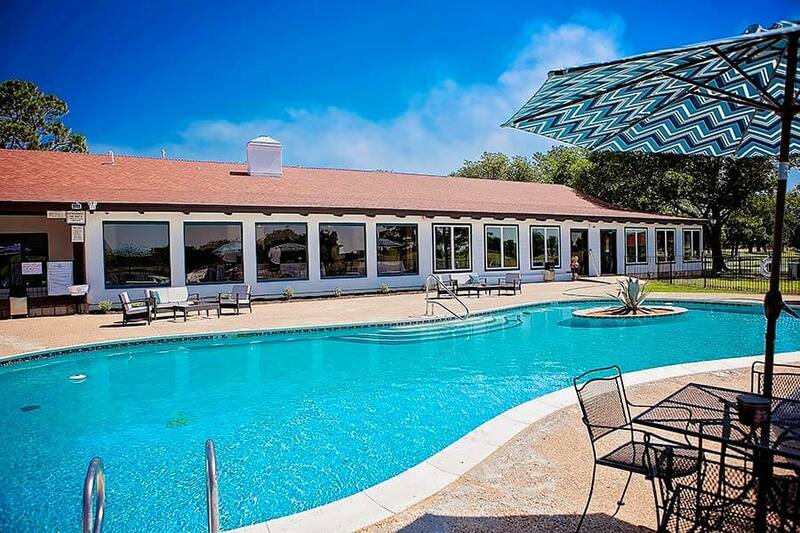 Healing Springs Ranch can recommend a partner detox facility that works closely with their model of addiction treatment. Medicines are one tool that treatment centers use to help patients manage mental disorders. They choose which meds to administer based on the symptoms of each patient. Some examples include insomnia, headaches, agitation, isolation and poor focus. How effective these meds are can change with time. The treatment center staff may adjust the dose or change the meds accordingly. Medicines might also cause side effects that require adjustments to ensure that the treatment is safe and effective. However, they’re most effective when patients also receive psychotherapy. Treatment centers often use medicines to ease the symptoms that patients have during detox. Some of these symptoms include muscle tension, nausea, vomiting, and tremors. Other examples are chest tightness, trouble breathing, and fluttering, skipping or rapid heartbeat. More and more treatment centers also use other drugs to taper drug abuse and manage recovery. When treatment centers combine medicines with psychotherapy, they call it medication-assisted treatment. This practice provides a whole-person approach to treating people with mental health and drug abuse. This rehab phase of dual diagnosis treatment involves intense psychotherapy. Counseling provides education about existing mental health and drug problems. It also shows patients how their beliefs and thoughts influence their actions and emotions. Together, the patient and therapist decide whether how to continue treatment and education. Psychotherapy has several goals, and they should change based on each person’s needs, addiction, and motivation. In general, it helps them understand the role that drugs have in their lives. It gives them a safe, nonjudgmental space to discuss their mental health and drug disorders. However, identifying and addressing the causes of mental disorders and drug abuse is the main objective. Once identified the work of treatment begins. Furthermore, psychotherapy can help patients set goals for their recovery. It may even encourage them to get involved in supportive services or employment. Counselors use various strategies to achieve these objectives. Within these psychotherapy methods, however, they may use several techniques. Cognitive behavioral therapy (CBT) is possibly the most common and effective. It helps dual diagnosis patients learn how to change negative thinking patterns. In turn, their negative actions and emotions become more positive. CBT also teaches skills to prevent relapse. Motivational enhancement therapy (MET) is a goal-oriented approach that produces changes faster than CBT. Rather than direct patients through recovery, therapists organize resources and build motivation to meet goals. MET can be useful for people in both inpatient and outpatient programs. Treatment centers may implement these and other psychotherapy strategies in one-on-one or group sessions. Groups are very helpful for providing patients with support and open discussions. As they share during sessions, dual diagnosis patients learn that they all have similar issues to overcome. Many treatment centers offer aftercare services that include continued psychotherapy. These services are most beneficial for people who complete inpatient programs. Aftercare provides a transition from the rehab center to normal home life. It helps patients stay focused on being sober as they return to everyday activities. Some aftercare services provide sober living arrangements separate from the patients who are still in rehab. The roommates have the freedom to attend school and jobs while therapy continues. They can also visit with family and friends. The aftercare program at Healing Springs Ranch is wide open. We love to have clients come back to visit for meetings, therapy, a jumpstart to continued sobriety. We also provide our alumni on-call services if they are struggling to stay focused. We encourage our clients to stay connected and stay clean and sober. Whatever it takes to find the underlying root of your addiction and help you recover is how we do it. Stop the damage that your co-occurring disorders have on your life. You can overcome them with dual diagnosis treatment at Healing Springs Ranch. Dial 866-656-8384 now and come home to recover.